jess, at twenty one months old, is talking so much now. well she has been for a long time but at the moment her sentences are coming along in leaps and bounds. its just amazes me everyday the things that she says. she is a parrot and repeats a lot of what we say but also has started to come up with her own expressions. "i'm fine", "i'm full", "i'm happy". 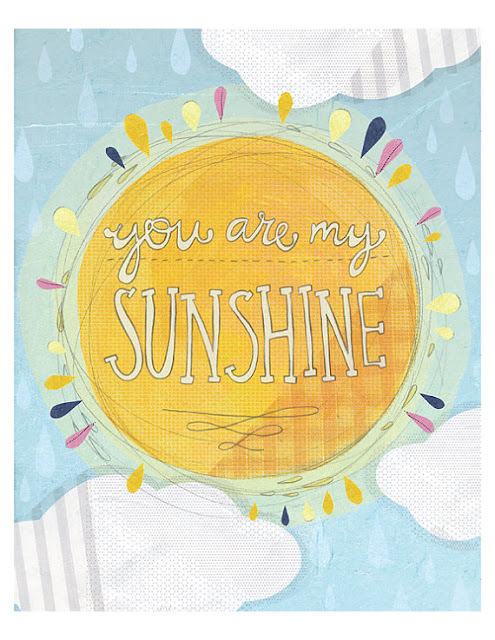 you are my sunshine print found on etsy. jess you really are my sunshine!